Our intelligence team gathered and analyzed data from the E-Crime market which indicates more than 6 million e-mail accounts and their credentials have been retrieved over the last 3 months. And this is not all. This simply means that online criminals are right now using these credentials against you. We explained here in-depth the ways in which malware creators use spam to maximize their impact, but that’s not all. 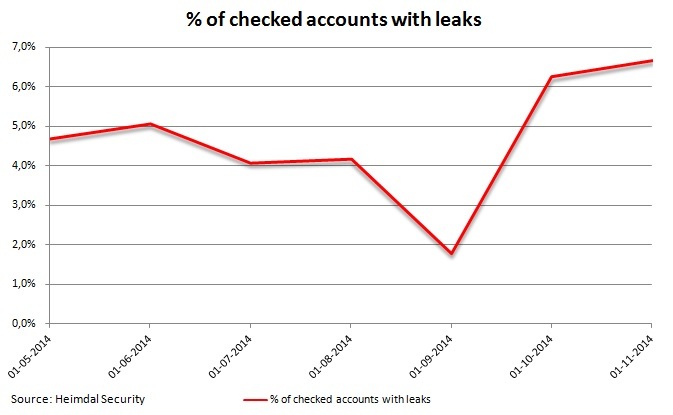 The leaked accounts’ credentials come from corporate logins to private consumer e-mails, and to find more than 6 million accounts in just 3 months is quite a large number by any standards. 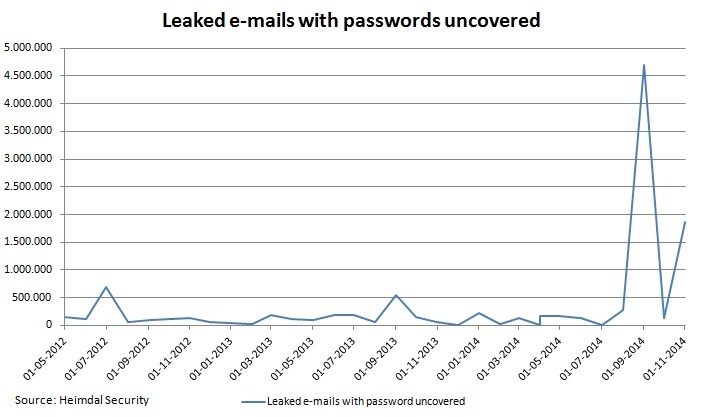 Explosion in leaked e-mails and passwords. Are data breaches to blame? If our security analysts discover around 150.000 account credentials leaking each month, this explosion can only by connected to the high number of data breaches that occurred in 2014. If we analyze the statistics, we have to admit that the 6 million accounts which have been stolen, they simply represent only the tip of the iceberg and the problem is much larger. As a security company, it’s our job to emphasize this number only covers the last 3 months. The actual number could be more than 20 times higher. On average we know the current or previous passwords of 4% of the e-mails we check and that number is currently as high as 6%. If we take as an example a company with 1.000 employees, we most likely know the historic account details for 60 of them. Take a look below at the statistics on the monthly amount of discovered leaked account credentials with matches in our database. How can I make sure my credentials have not been leaked? You can use a tool that lets you check if your credentials were compromised. To protect your credentials and your online security, we recommend changing your password regularly. We also created this mega-guide on password security. At the same time, to stay safe online, there are a number of steps and options you can take and our article The Ultimate Guide to Secure your Online Browsing could provide valuable information.